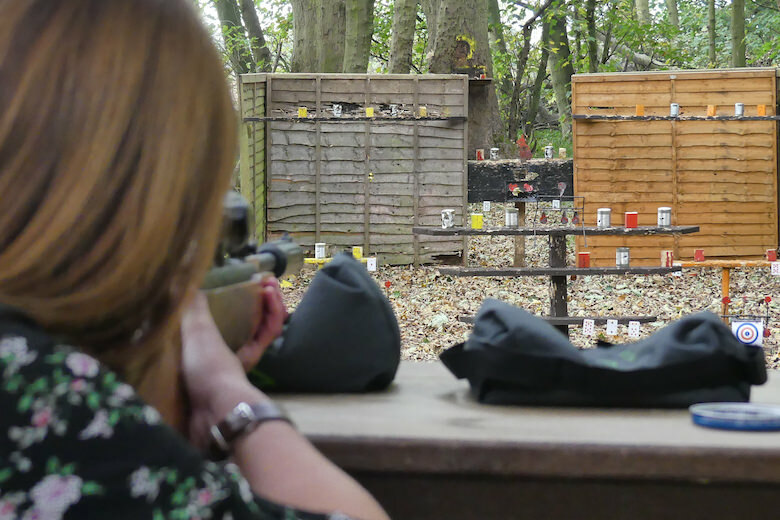 Do you have what it takes to become a skilled sniper? 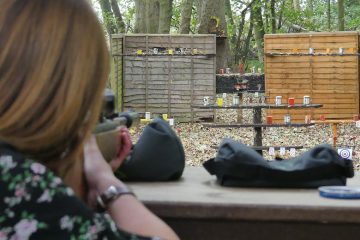 Our air rifle shooting sessions are the perfect activity for aspiring marksmen and women of all ages and abilities. This aim and fire experience provides you with the opportunity to develop serious shooting skills as well as have the most fun you can legally and morally enjoy with your very own air rifle. 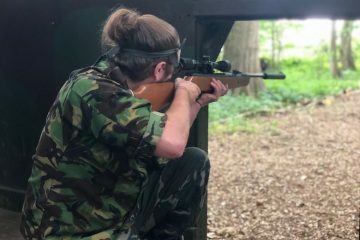 The experience on offer will give you the chance not only to handle your own air rifle with ease, but to fire on target with increasing accuracy at a range of different targets. Our air rifles are fitted with telescopic sights so that you can really feel and look the part during your activity. 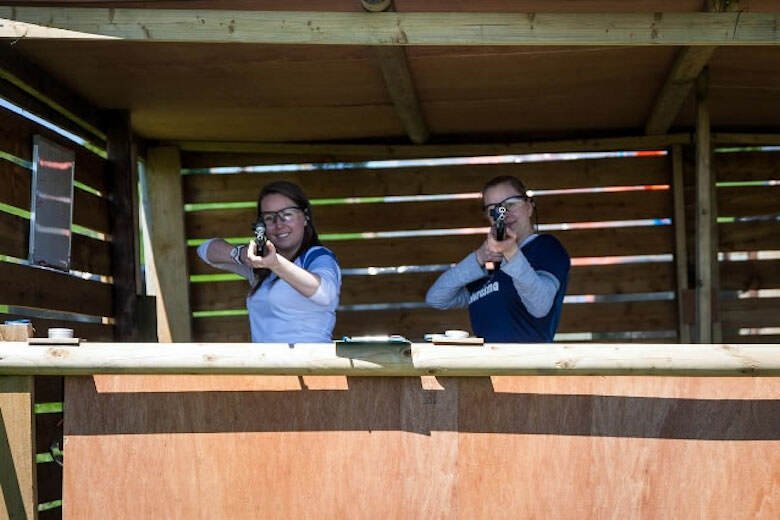 Our fully trained instructors will be on hand throughout in order to really help you progress through the different challenge levels on offer at our professional shooting range, though you are of course free to hone your aim and fire routines on any of the targets on offer. Come along with friends, family or even your workmates. You won’t be permitted to shoot any of them, but that’s probably for the best. "Took my son for some air rifle shooting at Hazelwood Castle, and had a great time. Very well organised and a very prestigious location!!!" Whilst we pride ourselves on the wide range of shooting and target games we have for all of our customers taking part in our popular rifle shooting activity, you simply have to be there in order to witness for yourself our truly explosive finale… all the more reason to get booked on! 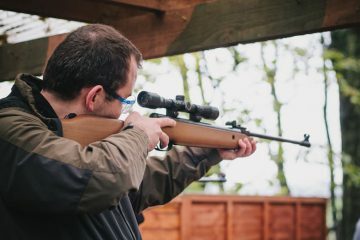 Our air rifles are perfect for even the most novice of target hunters, and our fully qualified instructors will have you feeling comfortable, confident and trigger-happy in no time. We understand that handling an air rifle isn’t exactly something you do every day (well, we hope not), so if you feel in any way apprehensive about this activity, please feel free to call us and speak to one of our happy team members, or get yourself over to Trip Advisor to see what our previous snipers have to say about our air rifle shooting activity. 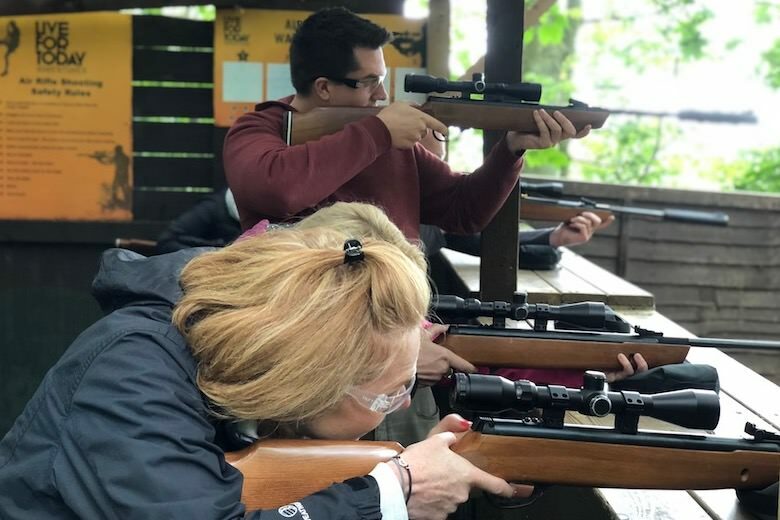 Yes, our fully trained instructor will show you what you need to know to safely use and shoot these rifles. The range is away from all other activities and shooting in a designated boarded off area where nobody is to cross. 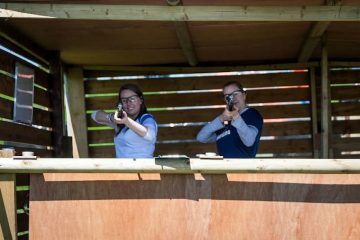 It depends on how quick you can reload, unlike many other places we will allow you to have unlimited pellets during your session. We us .22 Air Rifles which are more than enough for an introduction to Air Rifle shooting. 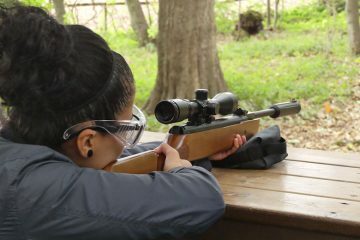 The main advantage of using these rifles is the simplicity of re-loading and controlling the rifle. We can also use unlimited pellets compared to something like Clay Pigeon shooting.